2) Open your Account Settings (Account->Account Setting). 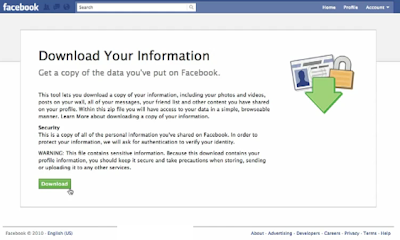 3) At last you will see a link Download a copy of your facebook data click on it. 4) Now in the new window you will see a Archive or Download button click on it. 5) Now you will redirected to the following page. 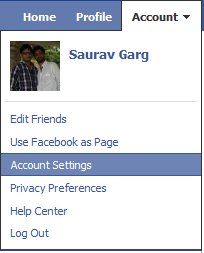 6) It will take sometime and a email will be sent to your Email address associated with Facebook Account. Click on link and enter Your Facebook Password and downloading will start. After downloading there will be a new ZIP file in your PC. 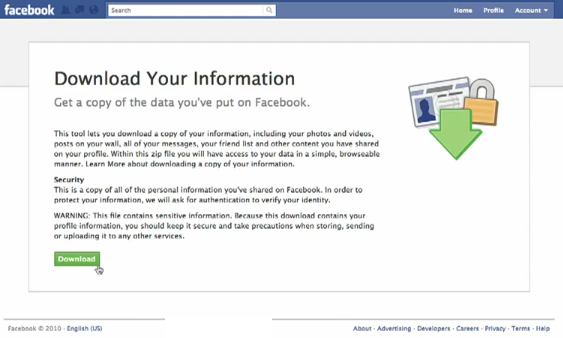 Open it, this will contain all your Facebook information and Keep it safe from others.